Big, bold, and beautiful! That's how we describe cordyline. This amazing plant develops brightly colored, strap-like leaves that look fantastic all summer long. Use cordyline by themselves in large pots or urns to flank an entry or mix them with flowering annuals to create an eye-catching focal point. Cordyline can grow 3 feet tall with bi-colored leaves. Care Instructions Cordyline prefers a sunny location, but will tolerate partial shade. Plant them in a high-quality potting soil and water whenever the soil surface starts to feel dry. These plants can tolerate drought, but don't like to dry out completely. Feed with a slow-release granular fertilizer in the spring. 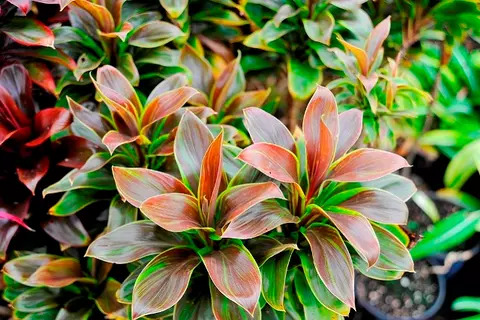 Cordyline is tropical in nature so don't plant them outdoors until frost danger has passed. Place container-grown cordyline in a spot protected from high winds. 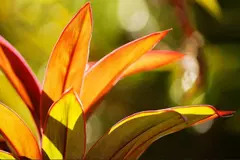 Otherwise, cordyline's large leaves may catch the wind and topple over during storms. 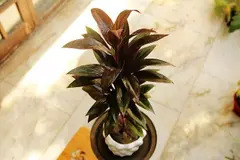 Cordyline is not intended for human or animal consumption.